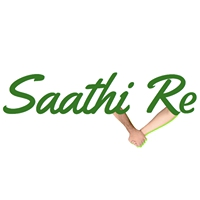 Saathi Re Social Impact Solutions Private Limited (Saathi Re) is a social enterprise that provides information and insights into the social impact space in India. It collects, organizes and analyzes information about the social impact space in India to enable stakeholders in this space to make informed decisions. Its goal is to catalyze millions of social impact initiatives already in existence by presenting them with useful and consumable information, with minimum effort, on an open public web platform. Women on Wings and Saathi Re will cooperate in a number of areas through which the Indian rural social sector in general and social enterprises specifically could be supported to enable them in growth in turnover, jobs for women and to provide them with the required data and information to catalyze their work. They will work together and elaborate on different models with the intention to co-create job opportunities and better insights in social impact.